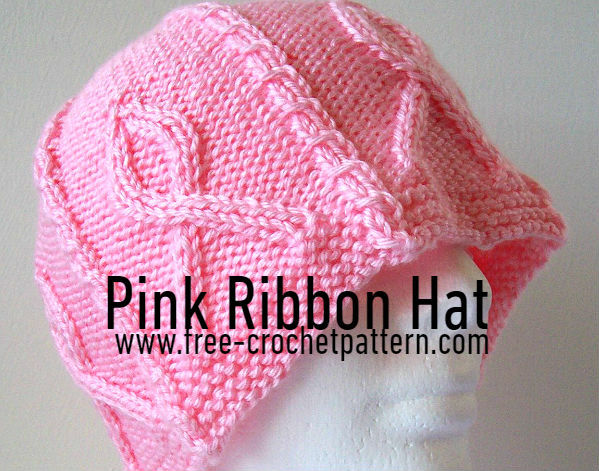 lovely cap with six cabled pink ribbons, separated by mini cables that work their way all the way up to the crown and join in the center. In honor of Breast Cancer Awareness Month, we present this hat that could easily be made in a different color to support various causes: red for AIDS/HIV, yellow for the troops, your choice! 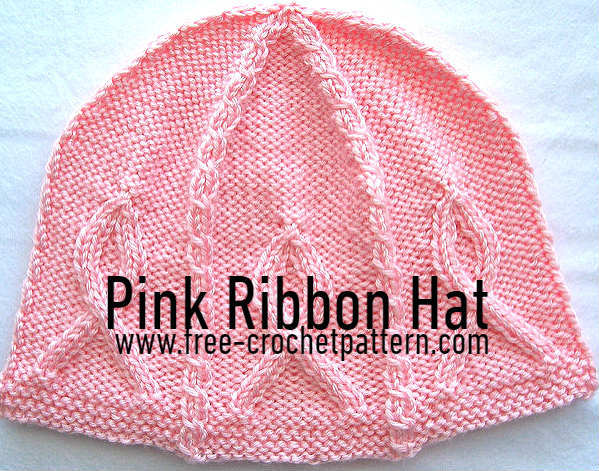 This pattern is intended for personal use only by http://www.carissaknits.com. Please do not try to sell it or any product made from it. Thank you.